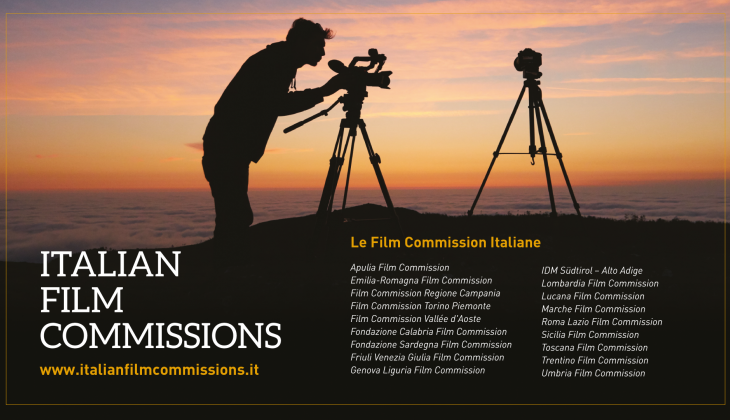 The Italian Film Commissions association, comprising 17 Film Commissions located all over Italy, is a benchmark for national and international productions, investors, authors, professional operators and institutions operating in the cinema and audiovisual sector. 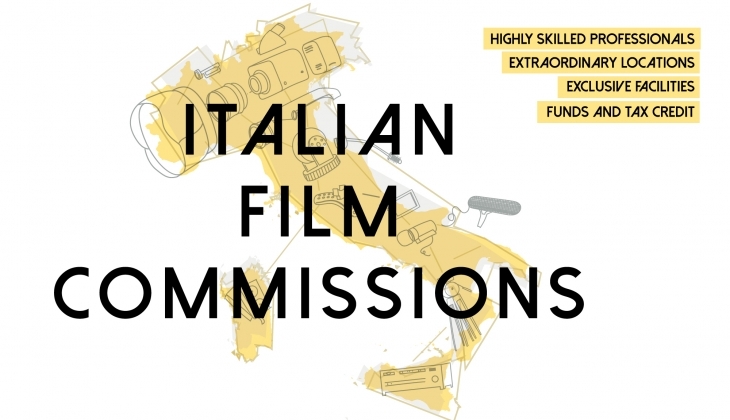 The Italian Film Commissions brings together organisms that provide free of charge services such as logistic assistance, access to financial resources, the granting of permits, a mapping of qualified manpower and service providers and the search for locations. It aims to create incentives for investments in the cinema and audiovisual sector in the individual regions, offering a unified image of the Italian world of cinema narrated in its regional specificities, promoting the different territories in terms of their distinctive cultural, artistic, touristic, landscape and industrial features. Fostering territorial development on global scale, the Italian Film Commissions association acts to consolidate relations with national and international bodies and institutions. It assures its associates of constantly updated information on activities within the sector and develops system initiatives for the growth and promotion of the Italian audiovisual sector. Activities of particular importance relate to the organisation of joint initiatives and attendance at the most important film festivals and fairs in Italy and abroad. The Italian Film Commissions fosters the growth of international co-productions and the realisation of operational and development partnerships. The mission of the association includes promotion and protection of the quality of services for audiovisual productions and the operational enhancement of structures associated with the organisation of initiatives for training and update.